Operating weight without water is 2,688 lbs. Water tank capacity is 35 gallons. Front drum centrifugal force/vibrates at 3,400 foot lbs. Virtually no overhang on front or rear. Engine: 21 HP gas powered Honda GX630. 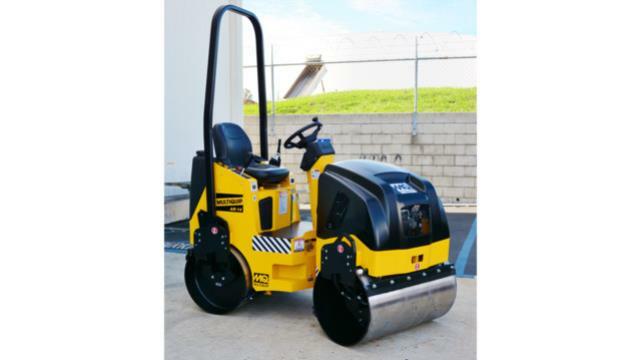 * Please call us with any questions about our vibrating one ton 36 inch roller rentals in Corning and Bath, serving the Finger Lakes Region of New York.